Pip Wilson bhp: PRESUME everyone is doing their best. EVERYONE we meet is fighting a battle we know nothing about. 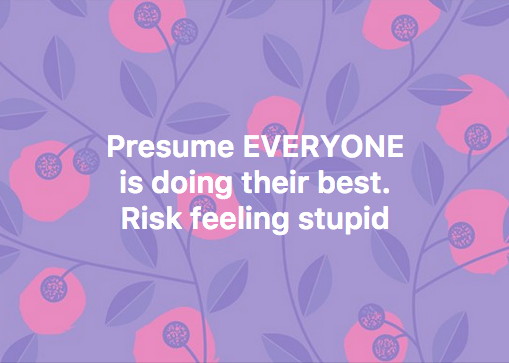 PRESUME everyone is doing their best. EVERYONE we meet is fighting a battle we know nothing about.